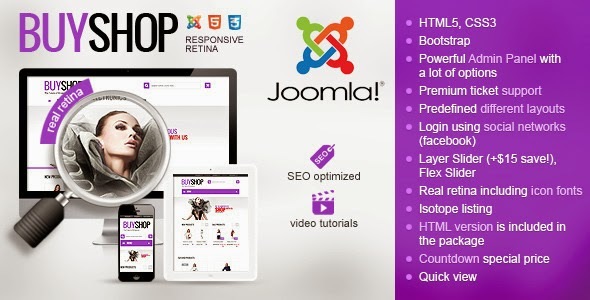 BuyShop is and Joomla Virtuemart theme. It will allow you to create structure according to your needs and requirements. It will satisfy all your needs that you are requiring and expecting from eCommerce solution. It comes in 3 different layouts (Creative, Classic and Dark) with Facebook / Twitter login option. It has price filter and countdown special price to increase sales. Item Reviewed: BuyShop - Premium Responsive Virtuemart Theme 9 out of 10 based on 10 ratings. 9 user reviews.